Janine Lin’s practices include general civil, criminal and administrative disputes and litigation, merger & acquisition, family assets management and general corporate matters and deal-related advices. Prior to joining Innovatus Law, she worked at LCS & Partners and represented clients in various litigious and non-contentious matters. Janine advised an international construction company on its infrastructure related litigations. She represented an independent power plant in tax and anti-trust litigations, and advised on several legal issues including amendment to Taiwan Electricity Act, renewable energy development, and greenhouse gas emission regulation. She also represented high net-worth clients in civil and criminal litigations arising from the family business disputes. She is experienced in civil and criminal laws, tax law, labor law, family law, and intellectual property law, and has represented many corporate and individual clients in civil, criminal and administrative litigations. Janine also assisted a multinational corporation in handling price-fixing investigation initiated by Taiwan Fair Trade Commission; assisted a listed Taiwan company in its application for securities offering; and participated in Taiwan IPO deals; and handled a number of mergers and acquisitions on behalf of domestic companies. She also frequently advises on corporate legal compliance matters and family assets management issues. While pursuing her LL.M. degree at NTU Law School, Janine’s research focused on the Taiwan Consumer Protection Act. She also volunteered at the NTU Legal Services Club and provided legal consulting services to those in need. She was appointed by the NTU Law School as an exchange student representative at University of Washington School of Law in Seattle, WA. 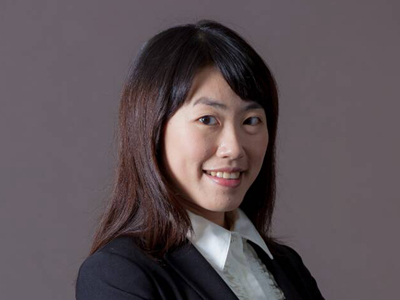 Janine is a member of the Taipei Bar Associations and is fluent in Mandarin Chinese, Taiwanese and English. Advised an international construction company on its infrastructure related litigations. Represented an independent power plant in tax and anti-trust litigations, and advised on several legal issues including amendment to Taiwan Electricity Act, renewable energy development, and greenhouse gas emission regulation. Represented high net-worth clients in civil and criminal litigations arising from the family business disputes. Assisted the representation of a listed U.S. company in an arbitration of damages arising from delayed closing of an acquisition pending before the American Arbitration Center in San Francisco, California. Assisted U.S. counsel in representing a listed Taiwanese technology company in a lawsuit of damages filed in Massachusetts. Assisted a Taiwanese technology company in a LED patent infringement lawsuit. Assisted a non-guaranteed creditor to successfully obtain the court’s decision to revoke the prior court’s approval of the debtor company’s reorganization application. Represented a domestic medical aid equipment company to successfully acquire the Taiwan business of an international competitor. Represented shareholders of a domestic internet startup to successfully sell their stakes to a Japanese public company. Represented a large Japanese company and its Taiwanese affiliates in a leniency filing at the Taiwan Fair Trade Commission. Assisted domestic securities underwriters such as Yuanta Securities & Fubon Securities in connection with Taiwan IPOs. Assisted a listed Taiwanese company in its application for securities offering. Assisted a Taiwanese cosmetics company in its Taiwan IPO submitted to the Emerging Stock Board. The Re-evaluation of the Punitive Damages in Taiwan: Focusing on Article 51 of the Consumer Protection Act, National Taiwan University master thesis, January 2014. Janine Lin, The Poison of Corporate Governance in Disguise: Legal Persons as Corporate Directors or Supervisors under the Taiwan Company Act, Commercial Times, May 17, 2018. Co-author, How to Successfully File Cartel Leniency under Competition Laws for an Enterprise?, Perspectives on the Practice of Financial and Technological Laws, January 2015.